"I knew a Bob once. 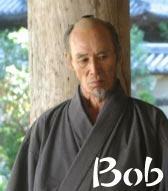 God he was as ugly as a mule..."
that's Bob, from the Last Samurai??!! how are yah man? I saw you on ts last night, but you didn't talk much. Hey, have a happy new year yourself. I order you to drink much vodka! omg omg omg omg omg omg!!!!!!!!!!!!!!!!!!!!!!!!!!!!!!!!!!!!!!!!!!! Thank you. Yours is quite awesome too if I may say so myself. I love my babyface. Smilykrazy is my baby and I love her. ...Swimming through the void we hear the Word, we lose ourselves but we find it all... System Of A Down. Yes and I am El-Nombre! This comment was edited by Senor Hat on Sep 15 2004 07:28am. and dont poo all over my profile.